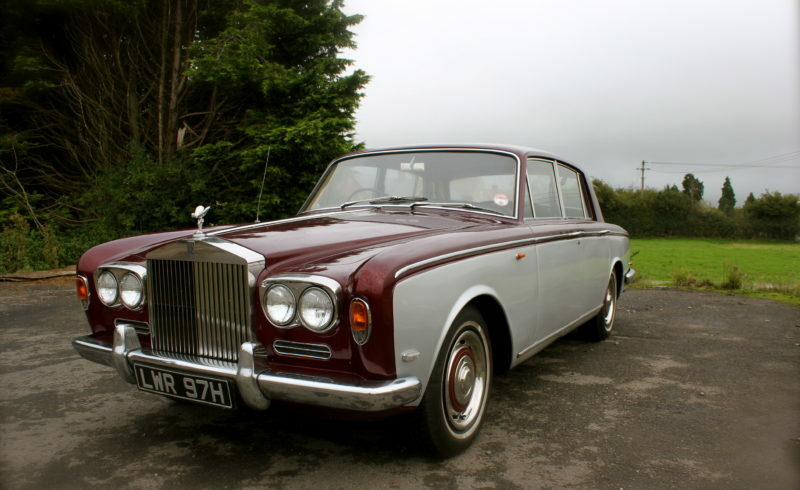 This is the Silver shadow Series 1 built in 1969. Classic Luxury motoring at its finest, with its fabulous Cream Leather interior and wooden dash, it is the height of luxury. Very modern for its year including Disc brakes, independent rear suspension and incredibly light power steering. The excellent 6.2 L V8 produces 172 Bhp, Which is more than enough to propel this car to happily to cruising speeds of 60+ mph. The shadow also features Hydraulic self levelling Suspension which was licensed from Citroën. Which gives the car an excellent ride quality, with its very comfortable black leather seats it is very smooth on the road and an absolute dream to drive. The body of the car is very good and very straight, It show no signs of rust whatsoever. Having been kept undercover or garage for the majority of its life, it is in very nice condition inside and out. The paint work is excellent. It has an Mot until March 2014 and is Tax, which being a 1969 it does not require to pay a annual road tax fee. It has had x4 Brand New Premium Tyres fitted, very expensive white wall BF Goodrich tyres. The car comes with many original paperwork and some service history, The condition of the car really shows how well it has been looked after over the years and is a credit to its owner. It starts up on the button every time and runs very well. Viewing is highly recommended as the photo’s just don’t do the car justice, it needs to be seen to be appreciated.